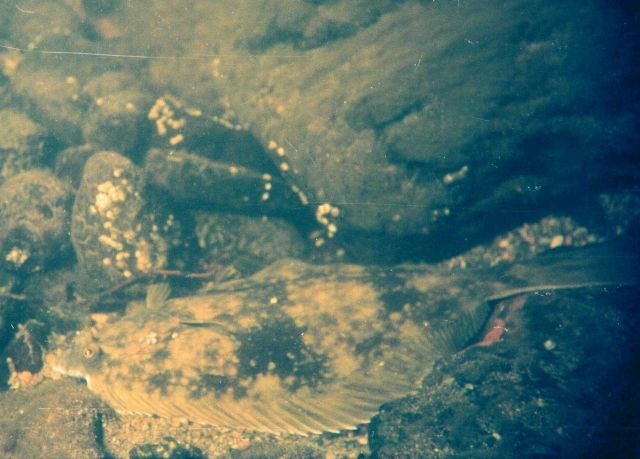 River flounder (Platichthys flesus) on rock in the Barents Sea at Kola Bay at Drovianoe, Lat. 68 55.0 N, Long. 33 01.0 E. Water temp 15 C; air temp 22 C; depth 1 meter.